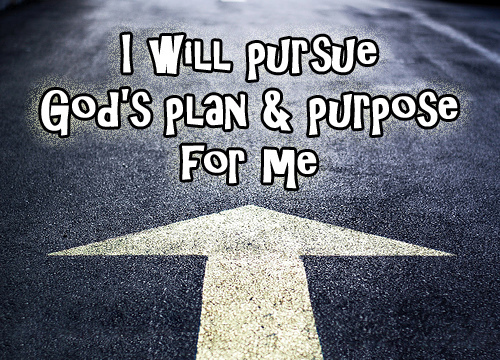 Keep on pursuing Me and make Me your continual priority, says the LORD. I Am the same for you, the changeless One and the One who has kept you all the days of your life. I have not failed you, and I will not abandon you now. Make My will your priority and I will reveal it to you one step at a time and give you clarity of the voice of My Spirit that will lead you and guide you continually as you learn to silence your own thoughts and lose your own opinions and simply come into My presence and receive from ME. I Am speaking. I Am leading. Follow what I Am impressing upon you, for I will never bring you into confusion, but will lead you out of it. I will always generate peace in you as you learn to lean upon Me at all times and trust that I will never abandon you or abuse you or misguide you, says the LORD. Do not fear. It is a step at a time and one of confident faith and trust in Me. I Am with you always to fulfill you in every purpose that I have for you as you take up My easy yoke and light burden and lean upon Me rather than your own understanding. Follow My lead, for you will KNOW MY VOICE as My sheep, and follow Me. Do not fear the future that is in My hands, for I have you and I know the way that you take. I will make a way for you when you cannot find a way as you let Me direct you. I will give you peace and tranquility as you entrust your life to Me and let Me be your trust at all times, says the LORD. I know what is best for you. Will you trust Me? Will you follow My lead? I will lead and guide you unto all truth, not partial truth, and it will set you free from fear and doubt. Come into My presence where you will find complete satisfaction and joy and a calm tranquility and rest in My love for you. IT is time to trust in Me fully, says the LORD. Amen… Also me , my Lord i will never derelicted you , i’m your servant , if you want to your serve Make me , I indicated to life for you , nothing other i didn’t want , only your love and peace i’m need ! And made me to be intelligence , Amen! Such an amazing word from God. I know it is straight from Him. AMEN, LORD HERE I AM, HEAVENLY FATHER PLEASE HELP ME AND SHOW ME THOSE THINGS THAT ARE IN ME THAT ARE NOT PLEASING TO YOU, LORD GOD, SHOW ME MY OWN FAULTS, MISTAKES, SINS, ANYTHING LORD THAT I NEED TO LET GO, AND GIVE YOU ALL HONOR, GLORY AND PRAISE UNTO YOU ALONE, AMEN!!! Amen & Amen. Thank you Lord. Amen Father! I trust in You! Amen I receive and silence my thoughts and opinion. TGBTG ALwaYsz IYN AmeiN. Help me FATHER GOD in mY weakness, BuilD mE Up WheRe I’ve been torn down, ForGiVe me for the sins, transgressions, wRonG choiCeS and thoUgHts, that I have done AgaiNsT And In UR SiGhT FATHER GOD, In YESHUA NaMe AmeiN. ThAnK YOU FATHER GOD fOr answering the PRaYeRs OF YOUR PRomiSes In YESHUA NaMe AmeiN. Amen. I will always follow you, so that you can direct me.